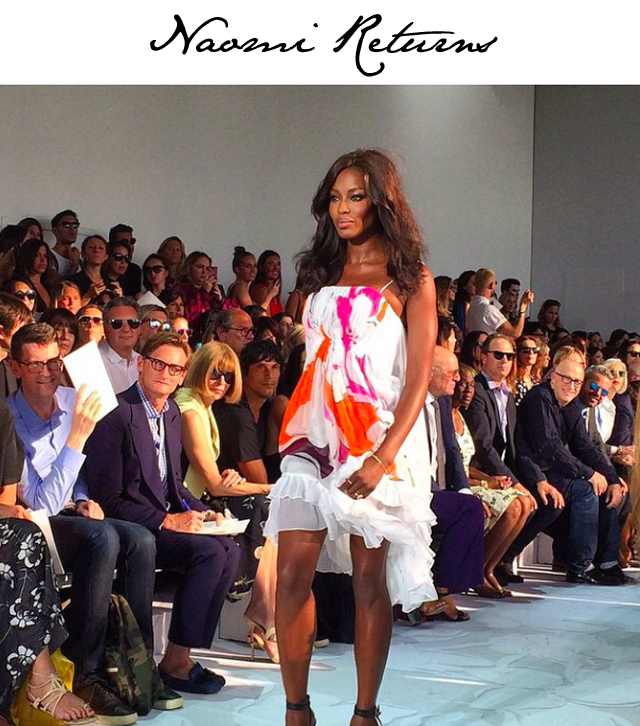 Guests of the Diane von Furstenberg show were in for a treat today as they sat and took in the beauty of the spring summer 2015 collection. First, Kendall Jenner made her spring summer debut on the catwalk at DVF. Yes, seems the Kardashian's model of the family is back in action for another season. No doubt we'll be seeing her absolutely everywhere. But, the real news came with a name that has been in this industry for decades. NAOMI CAMPBELL. Oh yes, people, the babe is back and she was in full action mode for Diane von Furstenberg today. No news yet on whether or not Campbell will be walking in any other shows, but we'll keep an eye out and let you know if there's another spotting here or there.